We are an orthodontic practice committed to delivering the highest quality care in a patient-friendly environment that is professional and relaxed. Keeping up to date with the newest technology and advances, we provide our patients with world-class treatment. We strive to have all patients and family like they are at home. 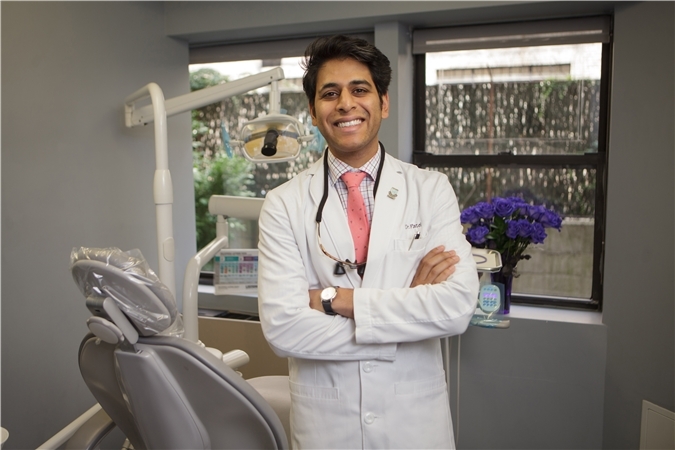 Dr. Patel received his Doctorate in Dental Surgery from New York University’s College of Dentistry. It was there where he excelled, graduating #1 in his class and receiving numerous accolades. He furthered his education by gaining acceptance into the prestigious Columbia University’s College of Dental Medicine Orthodontic Program. In his final year, he was chosen to serve as chief resident. Being taught with both traditional and the most advanced orthodontic methods and technology, Dr. Patel is able to provide a modern, extensive approach to orthodontics. From clear aligner therapy to digital surgical planning, Dr. Patel strives to be at the forefront of the newest technology to provide the best care for his patients. The Orange County Orthodontics staff is knowledgeable, friendly, and eager to guide you through the teeth straightening process. With expertise in braces and Invisalign, we can meet and exceed your every need. Treating patients from Harriman, Monroe, Middletown, Cornwall, Stony Point, Haverstraw, Peekskill, West Haverstraw, Newburgh, Suffern, Ringwood, Cortland, New City, Monsey, Beacon, West Milford, Nanuet and all surrounding areas.